BodySpec - Find out what you are made of. BodySpec provides affordable medical-grade health and metabolic assessments to help you achieve your goals. 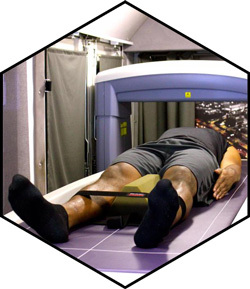 We offer the nation's most affordable DXA scan (also known as DEXA), the most accurate body fat test available. We also offer RMR tests, VO2 max tests, and nutrition coaching services. 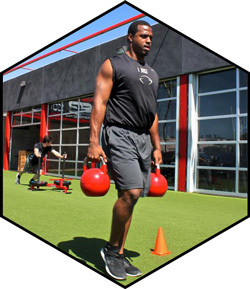 Through our Los Angeles location and our mobile body fat testing trucks, BodySpec serves Greater Los Angeles, San Francisco and Seattle areas. Sign up at an existing location or help bring us to your gym, office or event! WHAT'S IN A DXA SCAN? A BodySpec DXA scan is a comprehensive snapshot of your body. 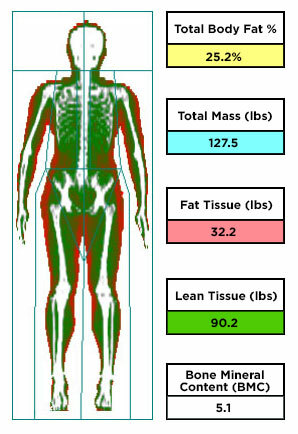 More than just a body fat test, we break down your body region by region into fat, muscle, and bone. Afterwards, you'll receive a 6-page report detailing your body composition. Scan regularly to quantify your improvements. How much should you eat? How fast is your metabolism? Find out by testing your RMR! This simple, non-invasive test provides the most accurate RMR measurement available, enabling you to set accurate calorie targets to help gain, lose, or maintain weight. RMR tests are offered on mornings at our Los Angeles storefront and via mobile truck in San Francisco. Sign up, come in, lie down, and within 30 minutes you'll have the data you need to make sure your eating habits are helping your progress towards your goals! 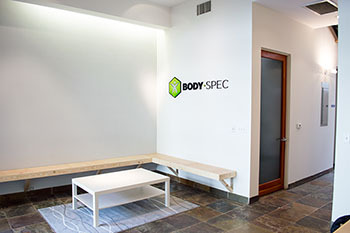 BodySpec's Los Angeles storefront has moved from West LA to Culver City! Our new location is located on Uplander Way, just minutes from the 405 and 90 freeways in Los Angeles. You never need to wait for our truck to get your DXA scan! This location also offers RMR testing and VO2 Max testing, to help you reach your goals. When making your appointment online, look for "BodySpec - Culver City" to book at the new storefront. We hope to see you soon! 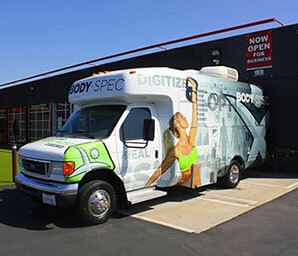 BodySpec's fleet of mobile body fat testing trucks travel to gyms, offices, health and fitness stores, and more. Trucks are available to serve locations in Los Angeles, Orange County, the Central Coast, and the San Francisco Bay Area, including Silicon Valley. Let us know about your gym, office, or event today. All we need is a place to park!